AI-driven world's most advanced science spinoff scouting system - S4 allows scouting, filtering and using information about latest spinoff technologies directly from 600 Universities. The information is sharpened into brief articles and extended to the interviews available online as well as offline. The system utilizes simple and affordable filters and interfaces to optimize the scouting process. S4 runs on our own physical servers that are located in Munich (Germany), providing with safety opportunity to download reports of any size at a speed up to 2 GB/min. S4 was created to support MNCs (multi-national corporations) and big VCs (venture capital companies) in full professional outsourcing of spinoff scouting process. During one-to-one everyday research, our in-house professionals personally interact with the leading MNCs and VCs on the one hand, and 600 Universities and their spinoffs, on the other hand. By personal interaction, we identify cutting-edge spinoffs and technologies. The customizable reports can be configured by relevance, subject, content, time frame and design to the individual needs within each client. Our services are free of charge. You can rely on our team of experts 24/7/365 and receive individual support and advice. We are the one who makes deep science spinoffs scouting upon request. Our clients are leading MNCs and VCs, which are actively looking for innovations in order to expand their portfolio, keep the leading positions on a market and be the first who gets such disruptive technologies. It is not a secret that scientific spinoff is the key to innovation. The spinoff founders have novel developments that may be of interest to both MNCs and VCs. As a rule, such spinoff technologies and companies are also in search of strategic partners in order to solve current problems with the further development and improvement of their technology and to cover the lack of finances, competencies, customers, etc. These spinoff technologies are often found at universities at the stage of commercialization. Some technologies are already included in the bases of universities, and some exist outside the base, being at the initial stage of commercialization or the protection of intellectual property. In order corporations or VCs find out about such technologies, they need to spend much time and efforts to get reliable information from primary sources. Now there are many databases, but none of them has centralized relevant information, moreover, obtained from the original source. The bases of universities themselves often contain only general information, or not sufficiently developed and structured. We help such clients to work out their request for the spinoff technologies they are interested in. Having received a detailed request, our team prepares and sends a personal query to partner universities as a primary source. After receiving the feedback from the universities on the spinoffs, according to the request, the team prepares a preliminary report and coordinates all its details with the client in order to work it out as clearly as possible. If the preliminary report meets all the expected criteria of the client, we continue scouting and personal mailing and then calling to all 600 universities. Our research department specialists work out all the received information and bring it into a standard form of articles and extended interviews geared towards investors and partners. Further, our AI-system in a matter of seconds allows generating the Bespoke Reports with all spinoffs, according to the client’s new query with manually elect supplementary afterwards. Smart system also allows generating very wide reports with spinoffs from different previous requests with the same speed. Such tailored reports in a user-friendly format (e.g. divided into categories, etc.) is ready in the shortest possible time and available for reading and sharing in both digital formats as well as for printing. Our reports are very convenient, up-to-date and available for download in one click. Thus, our system saves time our clients usually spend on technology search for innovative spinoff technologies. Also, it allows us, in the format of personal communication made by our team, to find and provide that information which is absent anywhere else in the systemized digital form. S4 gives priority to both MNCs and VCs always remain on top of disruptive technologies. Above all, given that our full-scale outsourcing is completely free, we save the client's financial resources. What is the USP of S4 and the difference from other platforms, systems, DBs and professional media? S4 is solely dedicated to science spinoffs and spinoff technologies. S4 highlights past, present, and future of spinoff technologies at various stages: birth-stage spinoffs that are protected with Non-Disclosure Agreement (NDA), spinoffs in the commercialization stage, and new spinoff companies that have already separated from the university. Due to the everyday one-to-one interaction with each partner Universities’ Technology Transfer Centre out of 600, these technologies receive “first mover advantage” to get into the tailored reports upon request of the influential market leader. We care much about protecting disruptive technologies with NDA. Many spinoffs are hidden from S4 and shared only after signed NDA with a client within a tailored Bespoke Spinoff Report. Our team outsources all paperwork related to the NDA preparation and signing, ensuring 100% protection of spinoff IP. The clear focus on the professional results in the terminology, format, volume and submission of information. Many spinoff articles are made in the form of a detailed interview with answers to the numerous questions that interest potential partners (MNCs/VCs). We supply our clients with a large number of additional materials, attachments and videos, that are safely stored at our Made-and-Located-in-Germany servers. Unlike most of the existing databases, we do not use YouTube and other video hosting sites. S4 has own streaming video service and software to store, deliver and display videos that provide our users with safety and possibility to watch confidential videos hidden from others after one click on the link (in many corporate structures watching YouTube channel and other streaming video services is prohibited). S4 and all its functionalities are completely free of cost for all market participants. 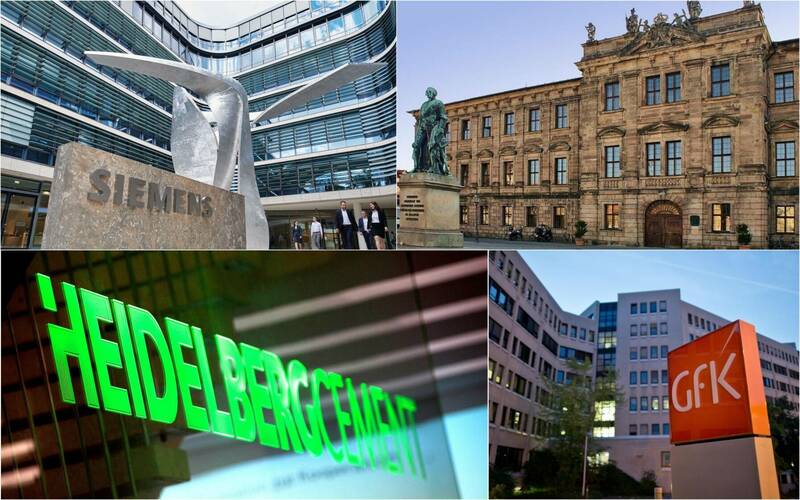 After top management experience in architecture and implementation of AI Market Information System (MIS) at Siemens, HeidelbergCement Group, and academic foundation from Friedrich Alexander University and GFK, the founder Alexander Miller decided to implement the S4 initially for own academical needs, during PhD Thesis dedicated to spinoff diffusion, and later on, S4 was open for broad access to all professionals involved into science-to-business process. Total investment into the system up to today has reached over 2 million Euro and over 120,000 working hours of the team of in-house employees and external syndicate members. We plan to invest around 3.5-4 million Euro for further growth within the next three years, extend our team to over 100 employees in all four locations. In 2019 we plan to open a representative office in the New York area in order to have a better interface to North America academic organizations and our clients in this region. 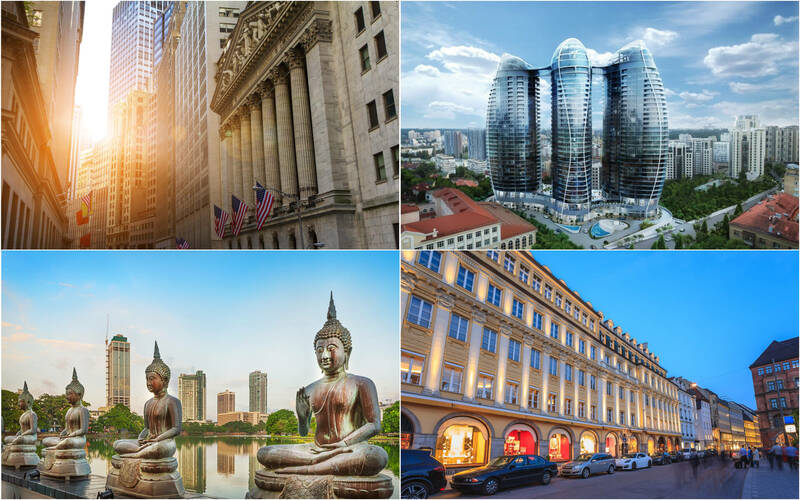 We also plan to actively invest in the development of our back offices in Kiev, Ukraine and Colombo, Sri Lanka. At the moment, the problem of the world's community is that the amount of information is inversely proportional to its quality. Therefore, it takes much time and resources accordingly to find the necessary information in this endless dataflow. First and foremost, S4 provides MNCs and VCs with only relevant information set in one place in an accessible, understandable and compact form. Moreover, with S4 our clients receive a free-of-cost professional tool to monitor all existing spinoffs with high market potential as well as full-scale outsourcing of science spinoff scouting. Upon request, we perform deep scouting and provide our clients with detailed information on interested spinoff technologies in the form of Professional Bespoke PDF Report (example Europe) with high-resolution photos and video content, attachments etc. Each spinoff in the S4 which goes to the Bespoke Spinoff Report contains detailed information about the technology due diligence, stage of development, founders, history, market, strategic and operational plan, goals of a spinoff, all financial documentation and spinoff founder's direct contact details. For most of the spinoffs, independent testimonials of Key Opinion Leaders are attached. CTO’s (chief technology officers) of MNCs can use the system to monitor the industry trends and identify new high potential spinoffs before making the decision to invest in own R&D’s or identify spinoff attractive for acquisition. All the published up-to-second actual information is prepared and verified by our in-house professionals. AI-driven filter allows hiding unrelated spinoffs, customizing the interface, synchronizing the settings on all gadgets and downloading the search results in a matter of seconds notwithstanding its weight, which can be used online as well as offline in a form of a Professional Bespoke PDF Report (example North America). Notify, if needed, through the pre-chosen channel – S4 itself, e-mail, WhatsApp message - or a consultant will call once an update appears in the area of interest. AI-system allows to consolidate information into narrow reports and, if necessary, pull up completely all the publications that were made up to date. It allows MNCs and VCs to receive not only narrow-profile reports with newcomers but also, on demand, generate extensive detailed reports with all spinoffs according to queries for the whole period (the largest report today consists of 3,500 pages). 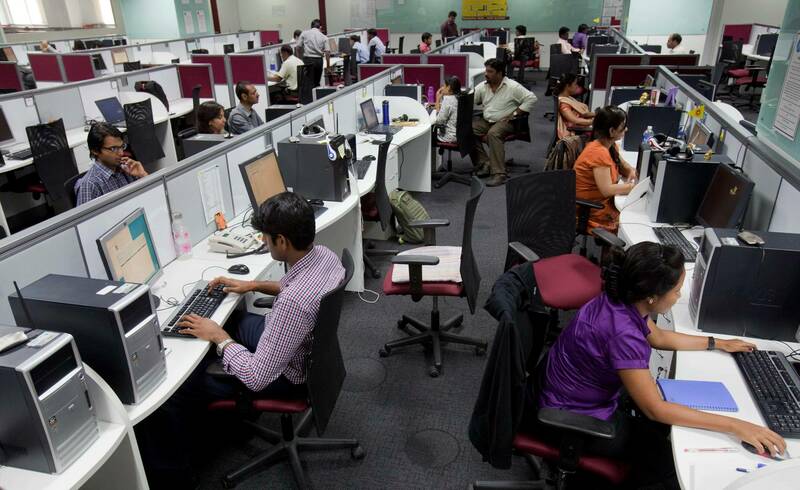 Our team makes full-scale outsourcing of spinoff scouting process for MNC and VC. For almost 15 years we have been engaged in spinoff scouting, that became our professional expertise. We deeply integrate into the client’s requests, personally work out each request with MNCs and VCs with the same efficiency, using the same professional approach as the internal team. It is hard even to distinguish our Bespoke Spinoff Report from such as if it was prepared by an internal team member. By integration and full-scale outsourcing, we represent an external engine that simplifies and accelerates the search of needed technologies. Our team is ready to take over the whole workload that the client is not able to perform in such a volume. By replacing your internal team we increase the efficiency of this process and save your time and resources. S4 services were, are and will remain free-of-cost. S4 provides spinoffs with direct access to the influential market leaders that can add value to such companies fuelling with necessary resources. Spinoff enters the S4 in the form of a professional publication (extended interview or article) with all necessary attachments, presentations, photos and videos completely free of charge. Moreover, due to the smart AI system, this spinoff publication enters automatically into all existing reports that were and will be generated based on various queries received from MNCs and large VCs. S4 works only with the latest requests from MNCs and VCs that are looking for a partnership, investment or acquisition of the spinoff and ready to provide with all necessary resources for its rapid development. 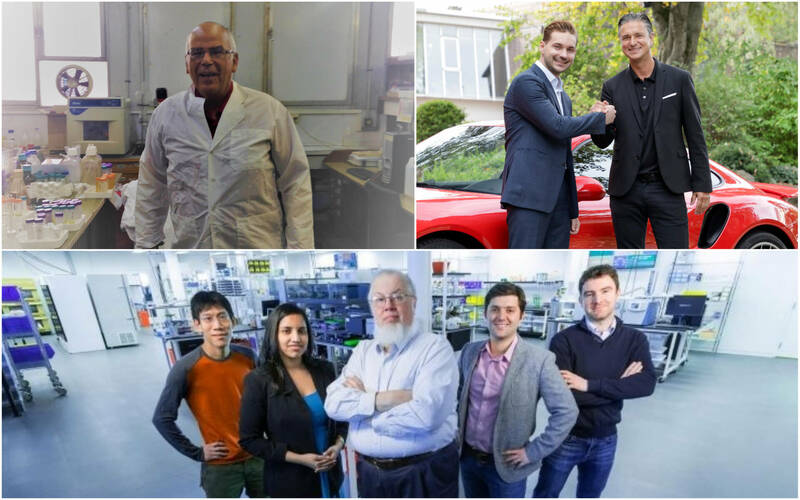 Science spinoff gains “first mover advantage” showcasing to such partners. By entering such professional OCRs, spinoff avoids many unnecessary time-consuming steps towards the commercialization of technology and may obtain a strong strategic partner. Following through the complete pipeline on the spot, S4 allows spinoff founder to save up to 80% of the time, normally spent for a search of the right strategic partner and allocate the funds for spinoff development. Upon spinoff founder’s request, specific members of the syndicate can assist with the aspects which require additional competencies outside of the digital S4, such as legal consulting, management, financial consulting etc. With S4 a scientist (PhD students and PostDocs, professors and MDs, specialists from R&D) can also monitor the latest tendencies in the field of expertize, find out whether anybody else is working on the same problem, find collaborations and partners. We highly appreciate the relationship with everyone university worldwide. Our professionals instantly include the new spinoffs requested by influential market leaders and received from partner universities to the S4. We make full outsourcing of publication, grammar check and additions/amendments, add high-resolution photos and videos and prepare Bespoke Spinoff Report for MNCs and large VCs. In exceptional cases, Universities have the possibility to order own Bespoke Spinoff Report (e.g. Brigham Young University Spinoff Report). Our specialists will make University’s Bespoke Spinoff Report in fully customized design with own perpetual link, ready for one-click downloading, sharing and printing. The digital version of the University's Bespoke Spinoff Report generates automatically within seconds constantly adding the newly coming spinoffs of the University added to the system. The reports with all university’s science spinoffs congregated in the most convenient PDF form may be used at the University’s discretion. So how does the process of publication work? We use a highly professional two-step approach to make our OCRs high precision. Each request for us represents a very deep research project which we devote the maximum amount of time, efforts and man-hours. Upon request, our team finds only those spinoff technologies that 100% fit query. Then our specialists from the Science Department manually modify and digitalize into the system requests on a daily basis. This means that we adjust the request during one-to-one communication to present only actual report with relevant information to the client. While receiving the request from the MNC or big VC, we deeply integrate into the subject of each request and fully outsource the process of gathering science spinoffs. The team personally discusses each request with the client in offline, online or conference formats, clarifies all the nuances in order to narrow down and refine the search. According to the obtained data, we start to work as a professional research agency. First, we send out an initial request, received from our clients in the present month, to 10% of the total number of partner universities within one-to-one letters and make calls to clarify all related data. After we’ve received the necessary information, we compose a preliminary report to work out the final version. Based on the client’s comments on a preliminary report, we set up the request and continue to prepare the final version of the Bespoke Spinoff Report with all necessary attachments and visuals. If needed, the Design Department prepares additional visual materials or upgrades the existing ones to the spinoff’s portfolio. Upon approval from a spinoff founder, this information is uploaded to the S4 as well as updates automatically in each OCR, falling into related topics. Respecting the confidentiality of spinoff founders, some of the spinoffs are available for review only upon NDA. Such technologies cannot be found online and they enter only offline Professional Bespoke Spinoff Reports upon request. 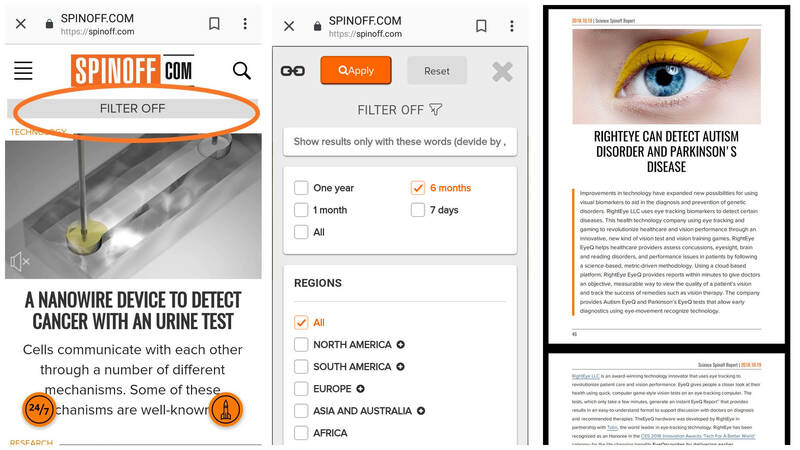 We would like to share some examples of spinoffs with high market potential that were placed in our system to show how professional and detailed we make each publication. WayRay is a Zurich-based spinoff, originally came from Russia, that develops holographic augmented reality (AR) technology and hardware. The company started with young scientist Vitaliy Ponomarev's idea of creating the holographic head-up display for automobiles. The team had to find out how to turn the idea into reality. Causing a sensation, the technology became the world's first holographic navigation system which was able to attract the attention of the largest players in the automotive industry and not only. As for the WayRay, only the sky is a limit, the team works on a variety of their technology application in different sectors such as smart glass and windows in the smart home business and construction industry. Israeli company Nanotextile is an example of classic science spinoff based on the bespoke technology of antibacterial coating. It was developed by Aharon Gedanken, the Professor at Bar Ilan University Institute of Nanotechnology and Advanced Materials and the company's R&D leader. Professor Gedanken is a pioneer in sonochemistry and an expert in the fabrication of nanostructures with special properties such as antibacterial, antiviral (i.e. Swine influenza), antifungal and antibiofilm. The technology allows fabrics to kill all eight bacteria efficiently and keep the properties even after 65 times washed in hospital washing machines at up to 92°C. Boston-based spinoff company Ginkgo Bioworks that creates customized products using biology by programming microbes. It is a classical science spinoff that was established in 2014 by the team of PhD students from Massachusetts Institute of Technology or MIT. Seeing the uniqueness of the technology, the strongest team behind and the high market potential, it was greatly supported by YCombinator, Paul Graham’s business incubator for promising early-stage startups. The technology of custom microbe programming opens the possibilities to make all kinds of products such as cosmetics, fragrances, food ingredients, sweeteners, medicines and even to grow electronics by replacing their DNA with the customised one. Our professional team has dedicated plenty of time to create a user-friendly interface of the website and the system. We would like to help you to get acquainted with every single section of our S4, demonstrate its functionality, and also help to determine how to benefit from using our system. We launched the visible online part of S4 mainly upon request of our partner universities, as they lack DB with such advanced interface, which allows presenting this or that technology in a very convenient and user-friendly form with necessary visuals, videos and all required attachments. Online S4 allows getting all information aggregated in one place over one single link. With S4 it is easy and simple to monitor and share the information about spinoff technologies, using our secured one-click links for downloading and printing. Due to the fact that S4 is commercial-free, it allows saving a tremendous amount of much valuable time. If you are the leading MNC or big VC and hasn’t worked with us, then you can try our online tools and generate your own Bespoke Spinoff Report or visit the section General Reports to have the general idea of the reports we do. If you are our partner University, you are welcome to obtain all the benefits of our system. For those who already know us and use our system functionality, we are glad to provide full-scale outsourcing in Bespoke Spinoff Report preparation. For all the parties S4 helps to save up to 90% of the time for researching, analyzing, selecting the necessary science spinoffs. One-Click-Report or OCR in a convenient PDF form include only selected information about the science spinoffs by queries, which our specialists work out on a daily basis. The idea to create such kind of reporting came to our founder during his Munich - NY flight when he realized that there was no wifi and a lot of spare time. He thought that the best option would be to have something worthing to read, meaning to simply press print and read through the whole-ready-for-1-second Report during 8 hours flight along with making all the comments, highlighting etc. After landing just send it to an assistant for the further organization of requests and conference calls, since the report has all the direct coordinates, names, direct phone numbers, and emails of the founders. OCRs that we make upon request are tailored according to the corporate design of the client and presented in any suitable form by our in-house designers in just one day. In-house software developers program the unique code for each OCR. With this code, OCR receives the perpetual link that remains unchangeable allowing up-to-second updating and using it henceforth receiving the absolutely new report with the newcomers with only one click. Up-to-second link option allows to generate and share the secured link for each particular report, excluding the heavy files exchange. The usability of OCR allows to set the settings once and receive the bespoke OCR in a matter of seconds every time by clicking the perpetual link. At the same time, each newcomer adds automatically to the ORCs. Within OCR MNCs and VCs get access to the biggest portfolio of science spinoffs with detailed information, video and visual content, attachments etc. on each particular spinoff, and a professional tool to monitor all existing spinoffs with high market potential. All the published up-to-second actual information is prepared and verified by our in-house professional team. OCRs are saved on our own secured services, thus are ready for speed one-click downloading, printing and sharing even without reference to S4. We've also removed all the unnecessary linking to our website, so it looks like a professional company’s Bespoke Spinoff Report. The unique secured links allow to easily share the OCRs inside the corporation's departments or inside the VC, preventing heavy files exchange. 92% of Fortune 500 companies and more than 90% of HealthCare, Pharmaceutical and Biotechnology industry leaders use OCR's functionality every month to download spinoff reports (example HealthCare and Biotech Spinoff Bespoke PDF Report). Thinking of safety and comfort, all our servers are located in Munich and we can proudly say that our system is made and located in Germany. S4 meets all the stringent corporate data protection requirements and has the highest download speed of up to 2GB/min which is an industrial record. Our secured links for each report comply with all corporate safety standards. With S4 it is possible to safely download/print out the OCRs and to monitor the recent innovations during less loaded timespan, e.g. take along during the business trips and flights, or to the places where it is not allowed to use gadgets. Respecting the confidentiality of our clients, we do not collect cookies, thereby protecting their personal data. All the visuals are purchased and copyrighted. Upon request, our experts prepare reports for various departments of MNC, taking into account the wishes of the topic, period (weekly, monthly, semi-annual, annual, whole period), regions and style of the cover and first pages, etc. For example, for one of the leading pharma company from Switzerland we make separate reports for each department (e.g. the first one is focused at biomarkers for Cancer detection and treatment, the second on Haemophilia treatment, the third is involved in Alzheimer's cure research) with systematized and detailed information in a very convenient form of PDF Bespoke report ready for one-click downloading, printing and sharing. This significantly increases efficiency and saves time and efforts for spinoff search by MNC and its departments. As your outsourcing partner, we take care that you receive only new information that you haven’t seen before. AI-system of S4 updates automatically, stores data and synchronizes with all users’ devices allowing to save Ready-to-Print reports. Considering our professional approach with deep integration, online and offline manual selection of spinoff technologies, we supply relevant information with necessary time intervals (monthly, quarterly, annually, etc.). We are ready to overtake all the work on preparing, designing, filling in own corporate reports and analysing tailored OCR for the client’s own purposes even without reference to S4. If there is a need for a large print run (for example, an annual report, a report for a large meeting), we can also provide the professional printed Ready-to-Read reports (starting from 100 copies). We can also do an in-depth analysis of the technologies of interest on certain spinoffs upon request. We can carefully follow the dynamics of the spinoff development and provide information in the form of reports with a certain time interval of such "favourites". Ready-to-Print and Ready-to-Print OCR’s simplify the selection of interesting technologies at times. Filtering tool allows generating 100% own report manually. After applying the Filters are saved by default until you disable them by pressing Reset/Filter Off. First, it is necessary to choose the search criteria with the help of a Funnel Button (on the right), select the necessary filtering criteria by checking the boxes and push Apply Button. Filters allow to select the necessary time interval (e.g. one year, 6 months, 1 month, 7 days, all period) regions and countries (e.g. North America, Europe, Asia, Australia, Germany, Great Britain, Israel etc. ), industries (e.g. Biotechnology, Energy, Environment, Healthcare, Transport Systems and Vehicles, Information Technologies etc. ), categories by R&D (e.g. Product, Prototype, Technology or Research). It is also possible to apply filters only to a certain group of interest e.g. Distribution (contains all spinoffs that are looking for distributors) or Investments (only spinoffs that are open for funding and looking for investors). Filtering tool allows monitoring all topics, categories, regions, educational institutions, and other information of interest. Once the filters have been applied, you are able to generate the OCR with one click on a Fire and Forget Button (Rocket sign on the right). The system checks all up-to-second science spinoffs in the S4 according to the pre-chosen filter and instantly generates the OCR and downloads it as professional bespoke PDF report to the computer or smartphone with a speed up to 2 GB per minute. You are able to generate the OCR by entering Fire and Forget Link spinoff.com/ff and every time you need an updated report, just enter spinoff.com/ff link (try right now or, as an option, you can save the link to your computer or smartphone and activate with one click) and download the 100% customized and updated PDF version of OCR in a matter of seconds. Don't forget to apply Filters beforehand. The general reports could be found in Reports section or by the link spinoff.com/reports. These reports on various actual topics have been already generated for your convenience and could be downloaded in one click. For example, the general reports with all S4 spinoffs for the certain (monthly, annual or whole period), reports covering general subjects such as Healthcare and Biotech or Solar Energy etc., or reports with spinoffs from different regions e.g. North America or Europe etc. There are narrower reports focused on crucial diseases e.g. Cancer, Diabetes, Alzheimer etc., or categorized by different universities like Harvard, Stanford etc. In this section, you will also find the reports with spinoffs from S4 based on R&D results (e.g. Product, Prototype, Technology or Research). After identity verification through Linked In, you can download/print out and share up-to-date general reports using the link on the right of each report. General Reports contain only spinoffs that are in open access and were ever requested by different MNCs/VCs. Almost 50% of the spinoffs are absent online. The access to the rest 50 % of covered technologies is possible only after signing the NDA for each of the spinoffs through our system of the digital signature depositor in a few minutes. If you have a different subject or priority you are welcome to apply for our free outsourcing services and we will make your 100% Bespoke Science Spinoff Report based on input received from all 600+ universities. LONG STORY SHORT: whether you just want to have updates on the specific area of science or you want to have your own unique reports with bespoke covers design, we are more than happy to assist you. For general topics: go to spinoff.com/reports - select the report - click on the infinity sign (you will see ‘copied’) - insert this perpetual link in the address bar - you have your PDF report downloaded on your computer. Safe this link for your convenience. It’s the perpetual link and will not be changed. Every time by clicking on it, you will get the updated up-to-second report on a chosen topic. For customized reports (manual editing): go to spinoff.com - find the filter sign on the right-hand side - select needed filters - click ‘Apply’ (the system will remember them, so next time if you want to change it, don’t forget to reset them) - click on PDF button - manually select needed articles (there will be white squares on each article) - click on PDF button again - you have your PDF report downloaded on your computer. For customized reports (automatic downloading): go to spinoff.com - find the filter sign on the right-hand side - select needed filters - click ‘Apply’ (the system will remember them, so next time if you want to change it, don’t forget to reset them) - click on the Rocket button or on the spinoff.com/ff (this link was generated for your convenience, system remembers filters you applied) - you have your PDF report downloaded on your computer. For customized reports with own cover - please contact us directly. N.B. : Don’t forget to reset filters and clean search fields if you want to change the report topic or find an interesting article. All our services were, are and will remain free-of-cost. Below are a step-by-step walkthrough tour and video tutorial about our website. STEP ONE. The first thing you see entering our website is the pop-up with concise information on how the company can be useful for you. By clicking on X, you get to the home page with ALL articles about spinoffs and their technologies. You can use a scroll to check all of them. Here you can also find a Search button for your convenience (on the top right). But don’t forget to remove filters if any applied before. STEP TWO. By clicking on a chosen article you will have an opportunity to get to know with the technology as well as you can find all the contact details about the spinoff (in the bottom of the article). Here if you are Key Opinion Leader you can leave your testimonials. To leave a comment, you have to be logged in under Linkedin account. If by any chance you recognize the mistake in the text, there is an option to leave your comment about it. MARK THE MISTAKE AND PRESS CTRL AND ENTER. Our Science Department will quickly work on it. Here you can find the list of investors and MNC open-sourced for your convenience and freedom. Reports - will lead to Bespoke Reports list on most popular topics, which can be easily downloaded. Products/Prototypes/Technology/Research/Others - will lead you to the lists of articles on the specific phase of the development of the innovation. STEP FIVE. Bottom of the page. To stay informed about innovations over the world - please subscribe. You can also follow us in the most popular social networks. Having specific rights you can also create a post using Add Post button. There is no much difference between the mobile version with its user-friendly interface and the desktop one. On the home page, you will see the sign ‘Filter OFF’. That means that you have not applied any filters to the articles and the whole list of articles is presented for you. In order to select specific topics of your interest, please click on FILTER OFF sign and apply the needed filters. By clicking on the Rocket sign you will automatically be redirected to the downloading page of the Bespoke PDF Report generated on filters chosen by you. One of the features of the mobile version is that you can flip articles. We understand that no matter how advanced AI-system might be, sometimes a human help is unavoidable. Therefore 24/7 professional hotline is available for all users of S 4 whether you would like to use a live chat or request a callback option. For any further questions please contact our online specialists by clicking 24/7 Button on the right and the specialist.